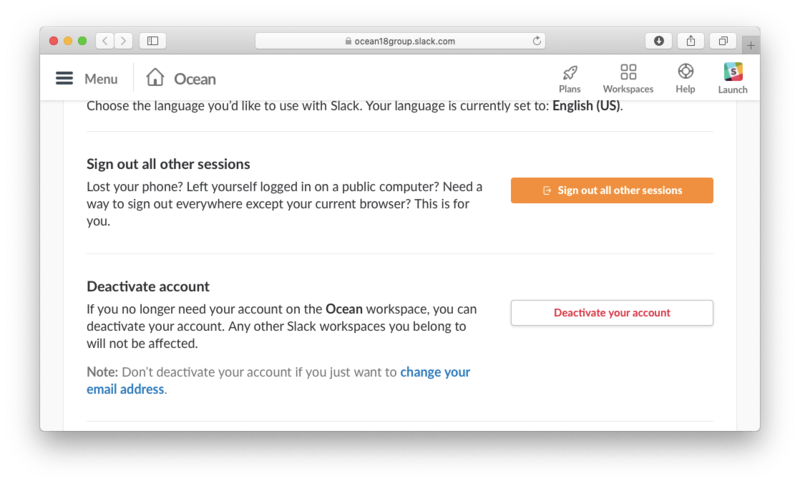 If you want to uninstall Slack on your Mac completely, we recommend that you delete its service files as well. 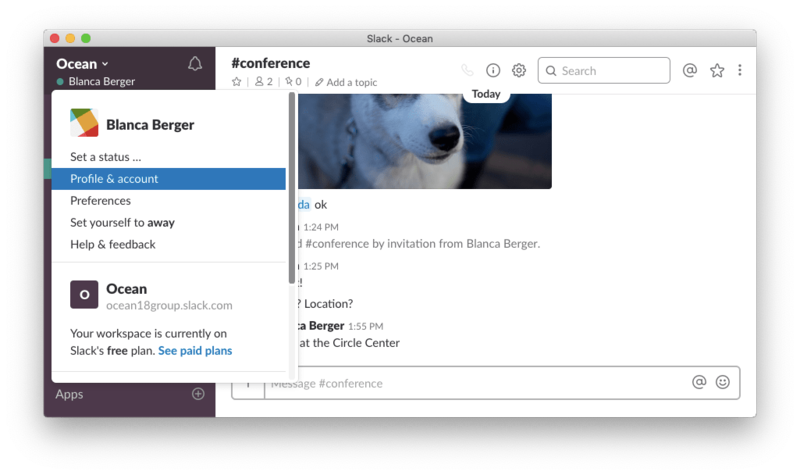 In this post, we want to share with you two ways to entirely remove Slack for Mac. In addition, we also want to explain how to delete a Slack account. How to delete a Slack account. How to uninstall Slack manually. How to remove Slack using an uninstaller. Note, if you delete the account all the data will be removed. If you want just to remove the app from your Mac, go to the next section without removing the account. 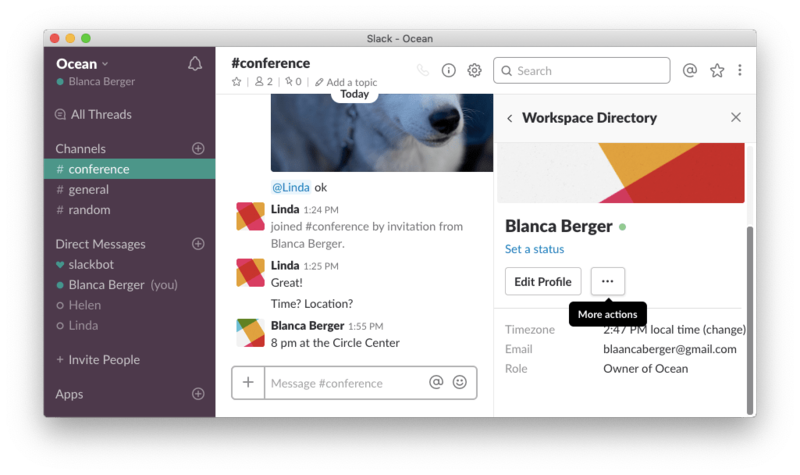 Launch the Slack desktop application. Click on your workspace name in the top left corner. 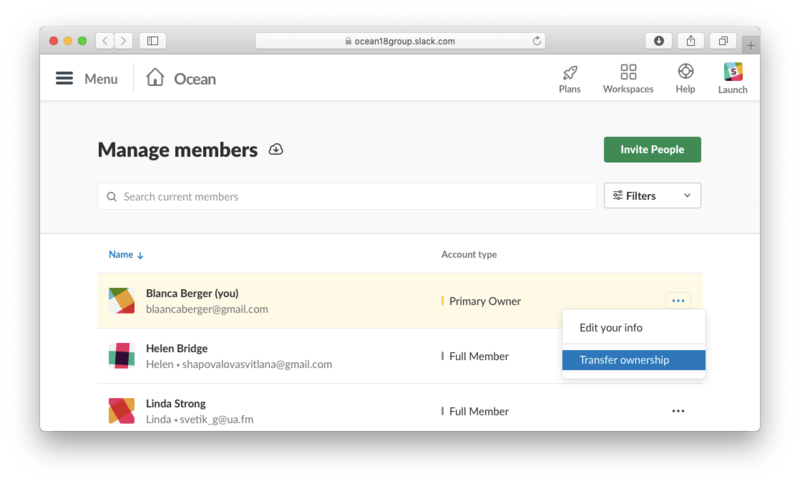 From the drop-down menu choose Administration → Manage members. 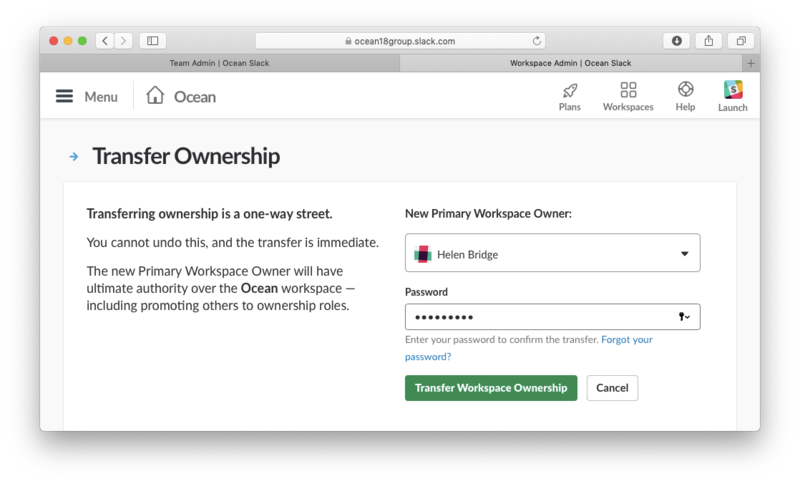 In the next moment, your Workspace Primary Owner’s account will be opened on the Slack website. Click on the icon with three dots→ click Transfer ownership. Choose a new Workspace Primary Owner from the list of the group. Confirm the transfer by entering your password. 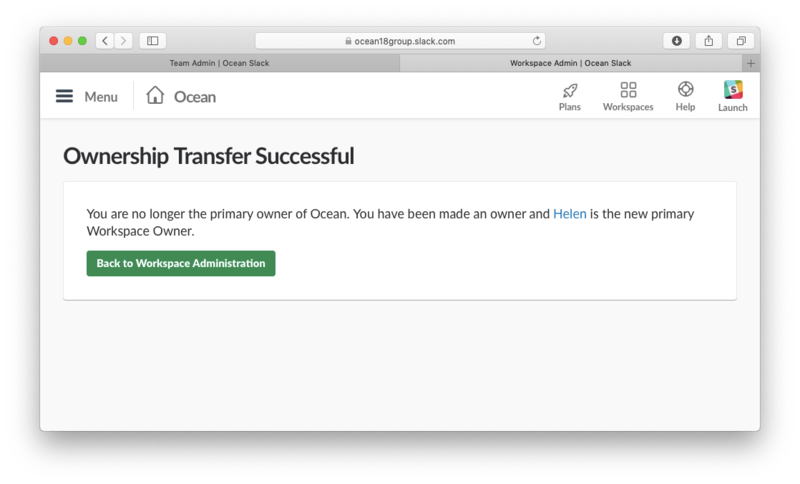 Click Transfer Workspace Ownership. Confirm the transfer by clicking Transfer Ownership. You will see a confirmation of the successful transfer of ownership at the end. Repeat this step for all the Workspaces where you are a Primary Owner. 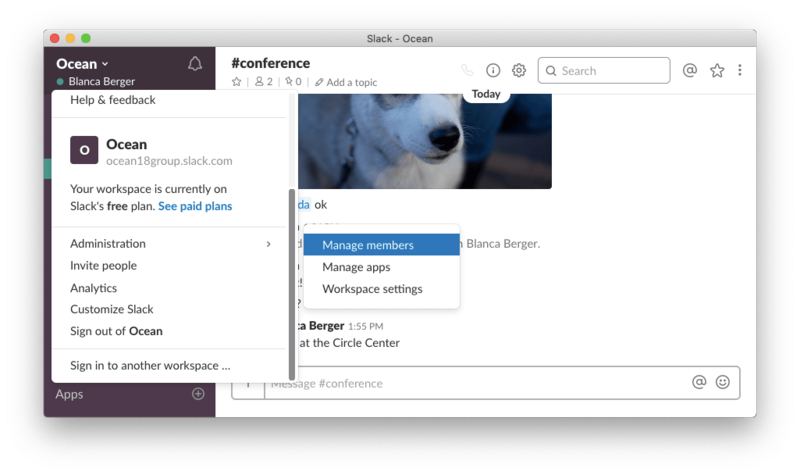 Launch the Slack desktop client. Click on your workspace name in the top left corner. From the drop-down menu, choose Profile & account. On the right part of the Slack desktop window, you will see your account data. Click on the More actions icon → choose Open account settings. In the next moment, your account settings will be opened on the Slack website. Scroll down to the Deactivate account section → click Deactivate your account. Enter your password. Confirm deactivation by clicking on Yes, deactivate my account. And finally, click Deactivate my account for the last time. 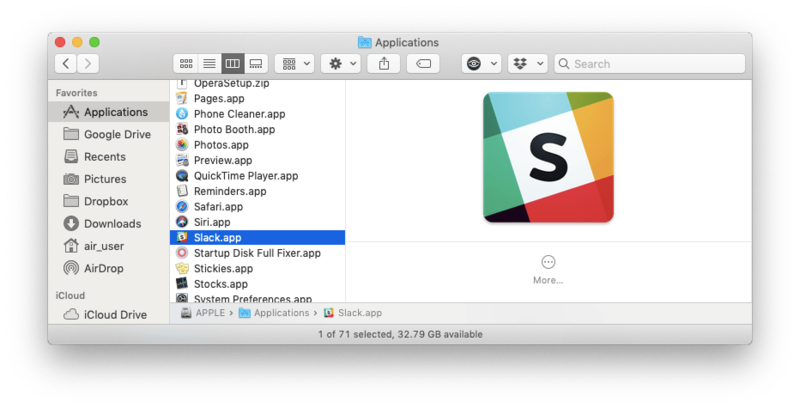 Open the Applications folder, select the Slack.app file and drag it to the Trash. Slack service files are stored in the Library system folder. By default, it is hidden from users to avoid accidental removal of the critical files. However, since you have already deleted the Slack executable file, its service files can also be deleted. Thus, open Finder → click Go in the menu bar → select Go to Folder from the drop-down menu → in the window that appears, type ~/Library/ and hit Go. The ~/Library/Caches/ and ~/Library/Containers/ directories can also contain Slack service files. 5. As soon as you find and remove all the leftover files, complete the Slack uninstallation by emptying the Trash. Select Slack in the Applications tab and click Uninstall next to it. Review the items you want to delete and click Remove. Empty the Trash bin to complete the Slack uninstallation. 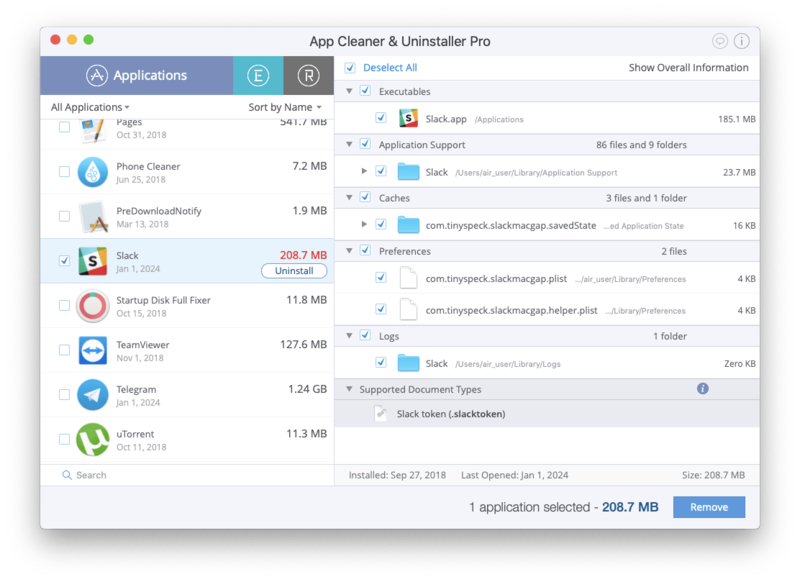 If you want to uninstall an app entirely, you also need to remove all its service files. You can select the manual removal of an app or use an uninstaller. 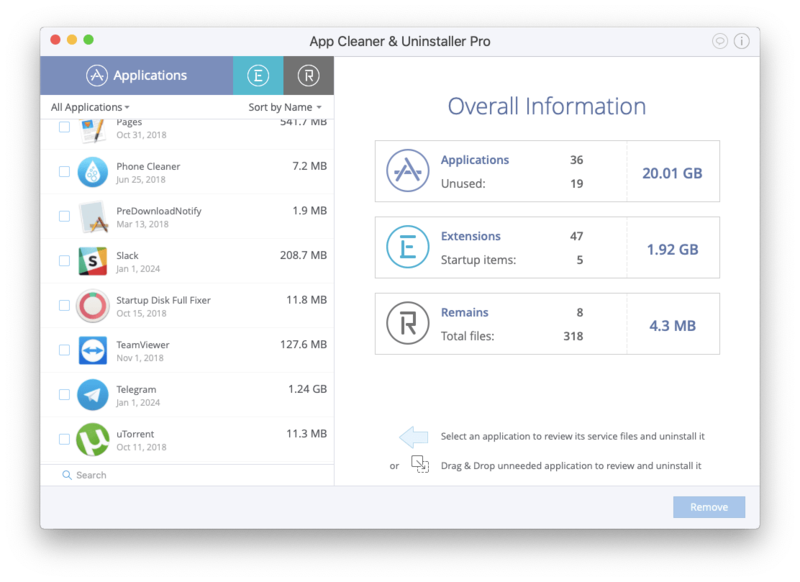 Using App Cleaner & Uninstaller is more preferable in order to prevent an occasional deletion of useful service files of other applications.